Have you ever tried to find a solution to a problem on your computer and couldn’t figure out how to resolve it? Did you try to troubleshoot the issue, but could not find a useful step-by-step guide? 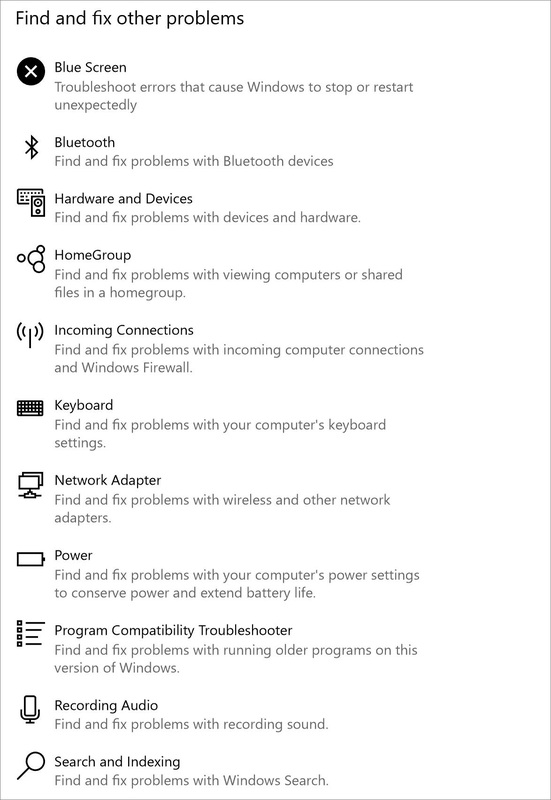 One of the features that was introduced in the Windows 10 Creators Update is a built-in Troubleshooting section within Settings. Located within the Update & Security section in the Settings, Troubleshoot allows you to run a troubleshooter to find and fix problems you may experience. Let’s take a look at how you can use this useful tool. From Windows Search, type “Troubleshoot” to open the menu or open Settings from the Start menu, select Update & Security, and then Troubleshoot from the left-side pane. You will first notice two main areas Get up and running and Find and fix other problems. For the most common problems, this section will help you with Network/Wi-Fi connection, audio playback/recording, printing, or issues updating to newer builds of Windows. Each selection will have unique prompts that will walk you through diagnostics to solve the issue. For example, when you select a topic you wish to troubleshoot, such as Internet Connections, you will notice an option to Run the troubleshooter for internet connection related issues. 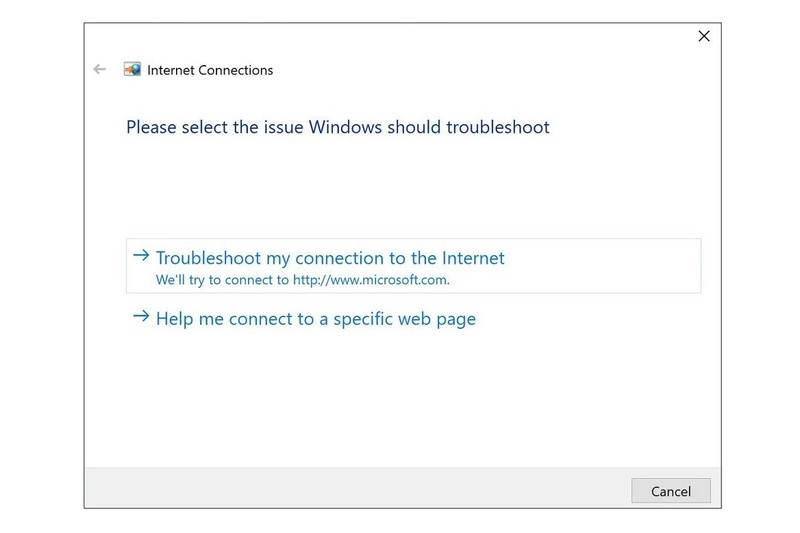 Once the troubleshooter option is selected, a new windows will launch that will begin searching for ways to fix the network. The troubleshooting prompt will check your network connectivity, IP configurations, driver testing, and more. You can troubleshoot audio issues by running the troubleshooter under the Playing Audio item. 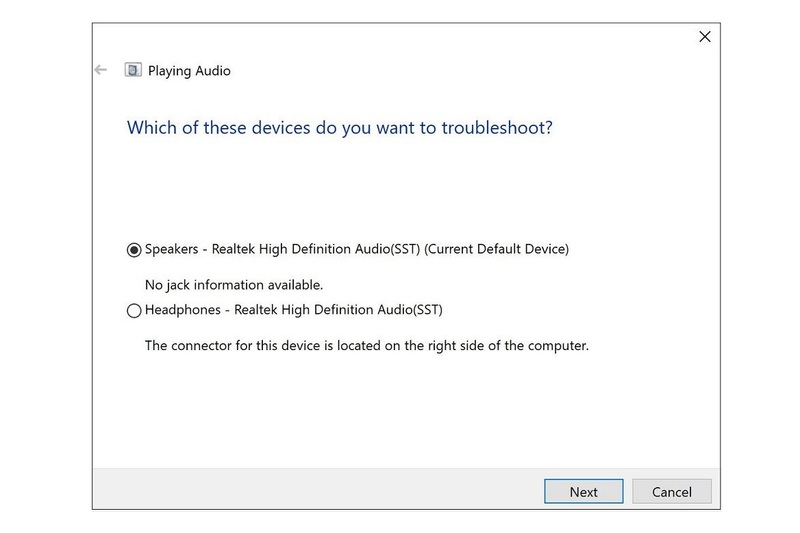 When running the troubleshooter, your computer will detect all audio devices connected to your computer, and ask you to select which headset, headphone, or speaker you wish to troubleshoot. Run the troubleshooter for your printer to help solve issues that you are having. When you run the tool, it begins detecting any issues, checking for installed printers, and offering solutions. If the troubleshooter cannot fix the issue, it moves to the next step and requests for you to try other options to address the printer connection issue. You may be encountering an issue different than the four listed issues under the Get up and running section. In the Find and fix other problems section, there are many options that may cater to your needs. Everything from Bluetooth, Microsoft Store apps, and many more are available at your disposal. They all run troubleshooters with similar steps to the ones shown earlier in this article, but with a focus on the specific problem area you select. 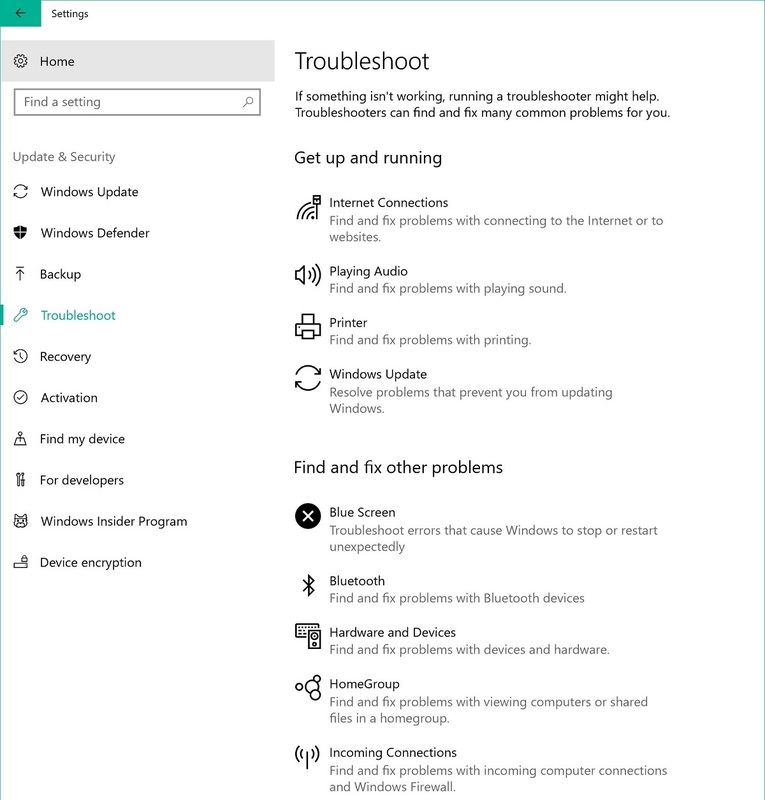 Windows 10 Troubleshooter helps you find and fix many common problems. If something isn’t working, please run a troubleshooter to see if it can resolve your problem. Windows also provides several channels for customers to get technical support. In case of any issues or questions about Windows, please visit https://answers.microsoft.com for online technical support or https://support.microsoft.com to contact Microsoft support agents. Depending on the location, customers may want to visit local Microsoft Retail Stores (https://www.microsoft.com/en-us/store/locations) or call 1-877-696-7786 to get technical support.